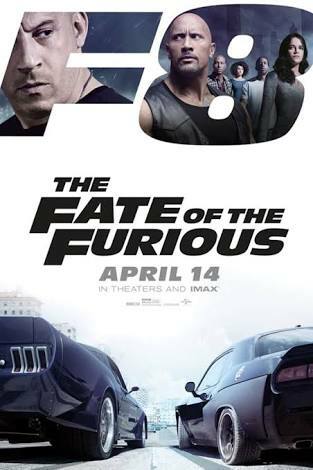 The highly anticipated Fast and Furious 8: Fate of the Furious finally dropped in cinemas worldwide during the Easter weekend and boy did it surpass expectations. It grossed well over $500 million in its opening weekend making it the highest grossing movie of all time – thanks to the folks in China – beating off the likes of Star Wars. It’s crazy to think that this is actually the eighth installment of this franchise and to think that they surpass the box office gross with each installment is even crazier. This was the first installment without the previously ever present late Paul Walker and I really thought that would’ve had a negative effect on ticket sales, it’s obvious I was very wrong. His Movie Blog is all about movies (for those that didn’t get that from the name). I’m a lover of all things movies, a Digital Marketing Manager and now I can add movie blogger to that. I’ll be sharing my thoughts, opinions and cinematic experiences with you guys and I hope you join in the discussion.